Can Can is a pendant lamp with a surprising design from Marcel Wanders and the Italian lamps manufacturer Flos. Can Can apparently possesses a simple and strict shape. But by looking a bit closer, the squiggled, flowery insert of the lamp shade shows up. 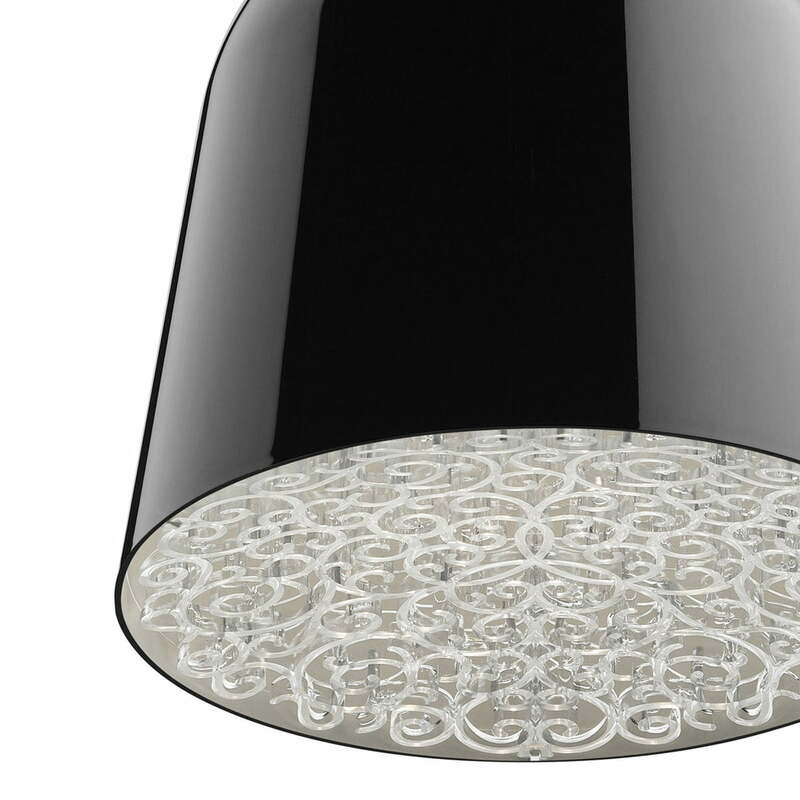 Like many of the Marcel Wanders designs, Can Can also combines classic and modern elements. The modern simplicity of the exterior is fulfilled by the romantic decoration inside of the shade. The patterned interior panel consists of PMMA and has influence on the spreading light besides its visual effects. A soft shadow-game characterizes the glossy beams. 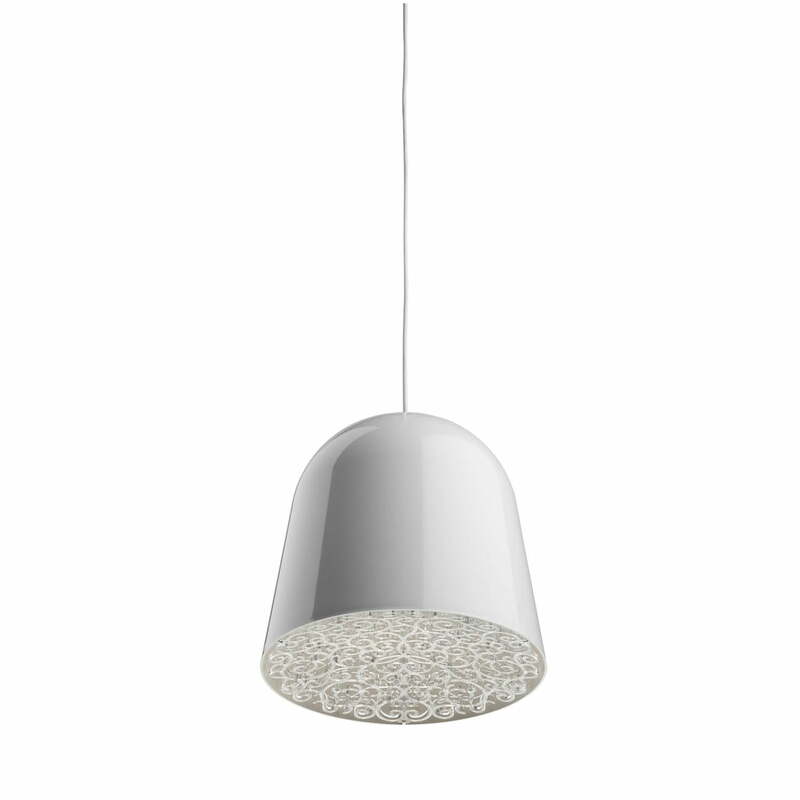 Can Can from Marcel Wanders and Flos is a pendant lamp for diffuse light. Body and diffuser of the lamp consist of injection molded PMMA, the ceiling fixing out of polycarbonate. 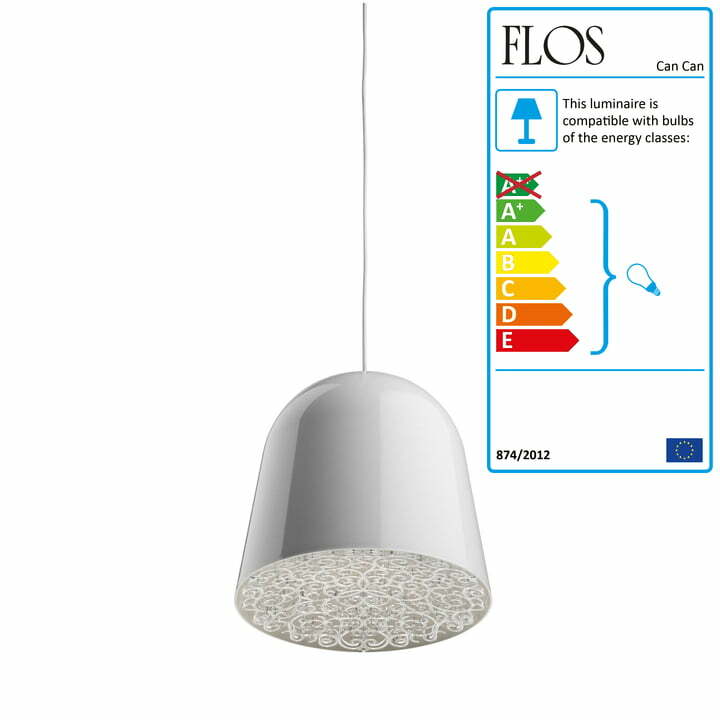 Flos offers the lamp in several colour combinations.